As a customized mobile applications provider, you need to provide quality products and services to your customers. 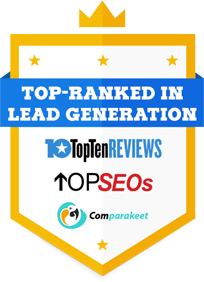 This is the conclusion of your B2B lead generation campaign, one that may or may not bring you the profits you are looking for in the long run. Still, this is something you need to do in order to keep getting sales leads in the Asia-Pacific region. After all, this is a very competitive market. You need to stand out or be carried away by the tide. Now, how can you do that? How will you be able to get the results you want? What is the secret to reaching your appointment setting goals? The answer is rather simple: you just have to be consistent. Yes, consistency is the key to effective marketing. You need to be consistent in everything you do, to be steady in the face of change, to be a paragon of stability for those looking to generate B2B leads. Be consistent in your B2B telemarketing work, and your customer will come naturally. All you need to do now is to mind the quality of all those mobile apps you have been selling in the market. It is not that hard, if you think about it. Now, what are the benefits of greater consistency for your business? Measurability – when you are consistent, you will be able to take accurate measurements, record the necessary data for your marketing campaign. Consistency allows you for greater analysis of what you need to improve on. Accountability – when you are consistently doing one specific task, it will become expected that you will do that specific task. If you fail, then others will notice it. This greater accountability is important if you want to ensure the quality of your work. No one wants to fail in their task, right? Reputability – when you consistently deliver what you promise, you create a positive reputation about you and your market. This is a very important point. Without a good reputation, you will not be able to sell. Building one from scratch can be time-consuming and costly, so you should better do your job right the first time. Relevancy – you know just how important your business should be to your customers. If you sell a lot of goods that they like, then they are more likely to go back to you for more .Keep that up, and they will become your customers for life. That can happen to you, as long as you have the consistency to deliver. Applicability – your message will only be accepted if you keep on giving your B2B leads prospects any marketing material that is relevant to them. And if the topic is timely enough, interesting, as well as informative, plus you keep delivering it consistently, then there is a higher likelihood of them becoming your customers in the long run. As you can see, consistency is the name of the lead generation game. Either you do that, or prepare to say goodbye to your sales leads prospects. Marketing requires brainwork to direct people’s attention to a company or product in the hopes that they will patronize it. To achieve that, they must have a good impression on something first, so they would remember it long enough to stick into their minds permanently. Ever wondered why Bed, Bath & Beyond, Dunkin Donuts and Shake N’ Bake are named as such? Alliterations are when words are combined to make a consistent sound group, usually starting with the same letters or with similar-sounding syllables. They’re fun, easy to remember, and catchy. Sometimes products are brought into life by characters which could later on become the mascot (like Ronald McDonald) or even by vague, fictional symbols (like the Android green robot). This creates an alternative way for brands to relate with its audience and it also strengthens recognition. Onomatopoeia is a word that represents a sound. This is a very popular figure in brand naming because of its short but appealing nature. Think of searching something and then Bing! You’ve found it. Yahoo! Or maybe you when you have something to say, you think like a bird and tweet. What do you call the sound your slippers make? Flip-flop. Companies use metaphors to convey a message creatively. GEICO (Government Employees Insurance Company) used a metaphor to show how simple and pre-modern their services by saying “it’s so easy even a caveman could do it”. Nike’s “Just Do It” also symbolizes their product as a means for speed, fame or success. Crazy over Memes: Can Marketers pull it off? You’ve probably seen pictures of Yao Ming or a troll cartoon with witty punch lines all over the internet. And at first, you probably wondered what they were (you are not alone), but that didn’t cloud the fact that you laughed and probably went on to look for more. Memes are almost turning into a cyber plague, and it’s only getting more infectious over time, invading social networking sites, personal blogs or just plainly scattered throughout the web. Why are they so popular? Because they’re easy to absorb (at least to those who know what they are). And let’s face it; they’re funny as hell, too. In case you didn’t know, the word “meme” already existed before the internet. Memes are cultural items or behavior which are passed on or imitated by another culture or generation. Religion, architecture, nursery rhymes, neckties, and Santa Claus – these are examples of memes. But internet memes primarily intend to entertain and sometimes mock certain cultural icons and ideologies. The question is:can marketers hop in the bandwagon and use memes effectively to promote a brand? Or perhaps the bigger question is, should they? Reality check: some companies, mostly SMBs, are actually already doing it on their blogs. It’s not too much of a gamble for small businesses to employ memes, especially if they only maintain a modest blog attracting a small geographic market. But for large-scale enterprises, memes are actually a bit of a risk to undertake. them if they’re familiar with memes – you’re going to have to devise a way to find out. Try sharing a meme post from another blogger first, or you can write something with memes as your topic. Then observe their reactions. Do YOU know what memes are? Imagine if your audience is totally familiar with memes and you aren’t, then you made your own which…turned out completely off. That’s a humiliating failure of epic proportions. Define your limits. One does not simply compile memes and dump them all on a blog. You have to set a measure on how far your humor should go, how relevantly and frequently you incorporate them in your posts. Casual, cheesy, fun. The best way to transmit humor is when you sincerely think that what you’re posting is funny. It could be cheesy or too casual, but if you see that it “fits” your blog post, then by all means share it. Memes lose its value when used inappropriately or half-baked. Remember that it’s supposed to elicit humor, so have fun. https://www.callboxinc.com.au/wp-content/uploads/2019/01/callbox-logo.png 0 0 admin https://www.callboxinc.com.au/wp-content/uploads/2019/01/callbox-logo.png admin2013-08-27 19:23:072017-04-19 06:44:10Crazy over Memes: Can Marketers pull it off?